Whether you are a first time homebuyer or a hardened and experienced real estate investor who knows all of the details about a purchasing real property for your investment portfolio, there are steps that should be taken in order to assure the buyer that the home buying experience would be a smooth and uneventful transaction. For the potential homebuyer, nothing is more important for the first step than arranging proper financing. This can be done through either a regular bank or lending institution or even a mortgage broker. The reason financing is so important is the same principle as preparing your budget before you go shopping. How will you know how much money you have to spend if you do not properly calculate the amount first? The second crucial step when purchasing real estate is going to be looking at what areas you want to live in. Whether the real estate will be purchased where the home buyer has lived all of their life or in a city entirely unknown to them, deciding which part of town they wish to live in will not only shorten their search, but make their experience as homeowners a much more pleasant one. The third step is going to be finding affordable housing for sale in the desired neighborhood or those areas where the homebuyer has decided they would like to live. By narrowing the field down from all of the available real estate to a few select homes, costs can be cut and the whole process of buying a home will become shorter and less taxing. 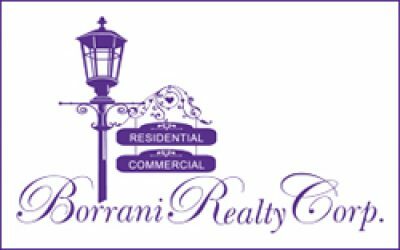 When real estate for sale has been found in the areas where you wish to live, then arrangements can be made with the realtors of record for those listings to show you the homes in more detail. This fourth step is frequently attempted first by many new homebuyers. Unfortunately, if they set themselves up to look at houses that they may or may not be able to afford in areas, which they may or may not want to live in, they are going to make the whole tedious process of home sales a trying and expensive proposition for everybody involved. By completing these steps one at a time in the order that they are listed here, the potential homebuyer will be able to be ready for each subsequent step in the real estate purchase. They will not be wasting the time of the realtor or the banks loan officer trying to buy more house than they can afford. The homebuyer will not be settling for less than what they want or need when it comes to buying their new home. In this manner, the real estate investor is more likely to get exactly what they want without all of the tribulations that they do not need when buying a home or property.